Step 1. install and activate the Image Widget plugin. Go to Dashboard> Plugins> Add New and search Image widget. Install and activate the downloaded Image Widget Plugin. Step 2. go to Appearance » Widgets. 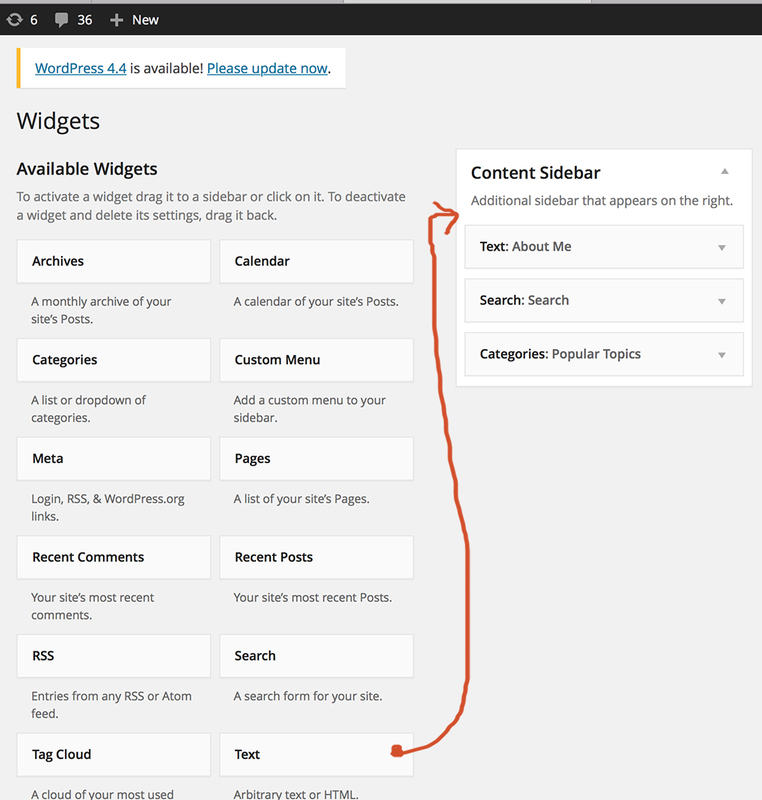 Simply drag and drop this image widget to your WordPress sidebar. Step 1- upload the image to your WordPress site and get Image Link. Go to Appearance » Widgets screen and drag-drop a text widget to your sidebar where you want to display the image. <p><p>hello & welcome to Asley Moore, a responsive WordPress theme designed by aiwsolutions. You can write a short blurb here about yourself.